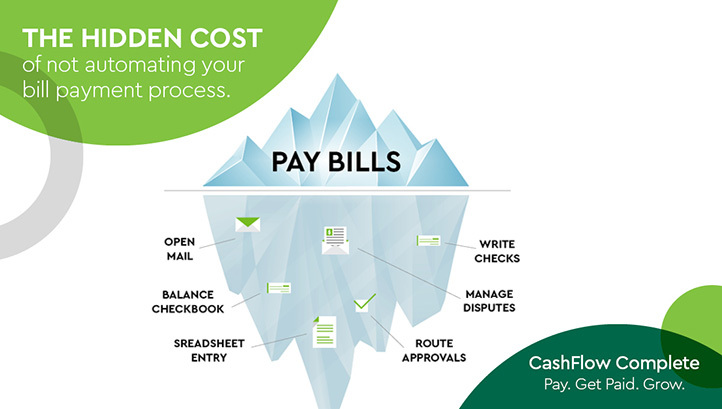 Simplifying business billing & payment processes. Does organizing and paying your bills take more time than you like? Do you struggle with managing and tracking customer invoices and payments? If you said yes to either of these questions, CashFlow Complete can help. Make the switch today. Pay. Get Paid. Grow. Already a Small Business Online Banking Customer? Open your account today. Not a Small Business Online Banking Customer? Enroll today. Go paperless: Receive and store bills electronically. One-click to pay: Pay bills on the go – anytime, anywhere. Automate the approvals workflow: Review and approve bills, with the click of a button. 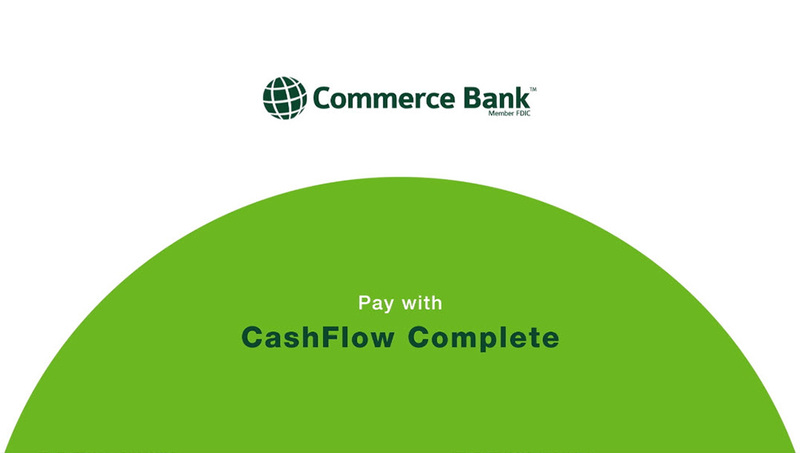 Built-in fraud prevention: All checks paid via CashFlow Complete are verified before clearing to make sure payee and payment amounts are accurate and unaltered. Save time with recurring bills and auto pay: Take control of your cash flow with recurring bills and auto pay. Finally, put end to late bills and missed payments. Reinvest your time and focus on growing your business. Easily send digital invoices: Create customized invoices online, and send them via email. Get paid faster: Receive ACH payments, via your own payment portal. Track invoices: Keep a finger on outstanding invoices. Plus, send reminders for pending and late payments. Anytime, anywhere access: Manage invoices and reminders on the go—across multiple devices. Import and export data: Import customer and vendor data, export bill payments and invoicing transactions to other applications. Online document storage: Get organized with online document storage--saving project documents, including estimates and contracts, with invoices and bills—all in one centralized place. Real-time payment tracking: Easily track incoming and outgoing payments, giving you a clear view of your cash flow. Merchant Fees: Level 3 processing rates available. Merchant Fees: Level 3 processing rates available. 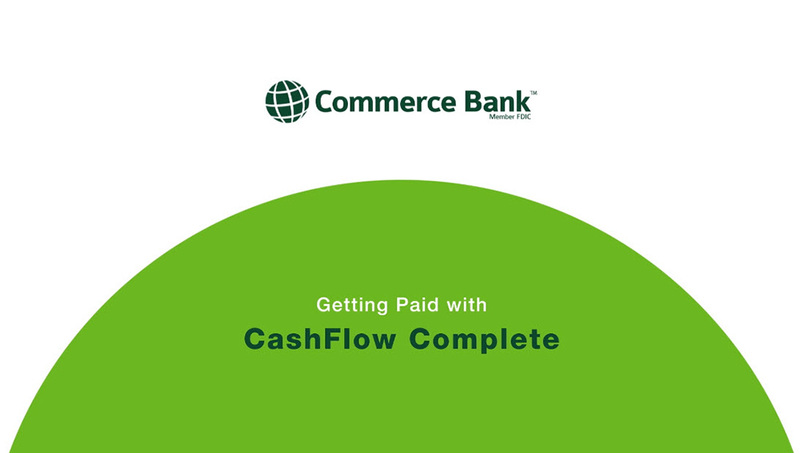 Try CashFlow Complete free for 30 days. After 30 days, the fee for the CashFlow Complete plan you select, plus the applicable transaction fees1, will be automatically withdrawn on a monthly basis from the deposit account you choose during enrollment. Subscribers using NetSuite or Intacct Accounting Software should email for information on fees related to the implementation and synchronization of this software with CashFlow Complete.